Energy is a hot button issue for consumers, with government promises to ‘keep the lights on’ frequently in the news. Consumers are looking for ways to reduce their power bill and lower household spending by switching off unnecessary power usage and by investing in solar. Since electricity price deregulation was introduced in NSW, Victoria South Australia and Queensland electricity companies can set their own plans, prices, conditions and incentives for consumers to switch. Households are free to shop around for an energy supplier, giving them the opportunity to save by switching to a new provider with a good offer or negotiate a better deal with their existing supplier. Energy retailers who market special deals to customers to persuade them to switch providers look for ways to attract new customers and differentiate their brand from the others in the marketplace. One leading energy retailer recognised the value of an incentive to attract consumers to switch providers by promoting a different offer from competitors in the market. The retailer’s acquisition strategy included a door-to-door approach offering householders a $100 eftpos gift card for switching from their existing supplier to the new energy company. The incentive resulted in the highest response rate for customer acquisition. A prepaid gift card is preferred by customers as a reward and they were prompted to switch to claim the $100 eftpos card. Its value was seen as separate to the energy offer as it is a gift that could be used to purchase whatever the customer chose at any retail outlet that accepts eftpos. The card was regarded as a personal gift, separate to the transaction of signing up to a new energy contract. The promised value on the zero balance eftpos card was activated when the customer paid their first bill. Research shows that a gift card is more highly valued than the same amount of money as a discount off their first power bill which is quickly forgotten. Customers regard a gift card as superior to paying less on their power bill. Receiving a gift card encourages consumers to stay loyal as they feel they have been given something personal and separate from the initial requirement of signing up to a new energy provider. This triggers the impulse to ‘return the favour’ and give something back to the company that has given the free gift. This principle of reciprocity is recognised as one of the most influential dynamics of human behaviour and can inspire loyalty and repeat business. A gift card as a reward can have additional benefits for the company that are greater than the value of the card. The recipients will tell others about their gift and what they intend to buy with it. The favourable comments about a gift card to switch providers can frequently go viral, with customers recommending the offer to friends and family as well as telling others about their bonus through social media. Appreciation for the gift card reflects favourably on the energy company and creates loyalty to the new provider. Encouraging customer loyalty is a high priority for businesses that value an ongoing relationship with their customers and continuing sales. 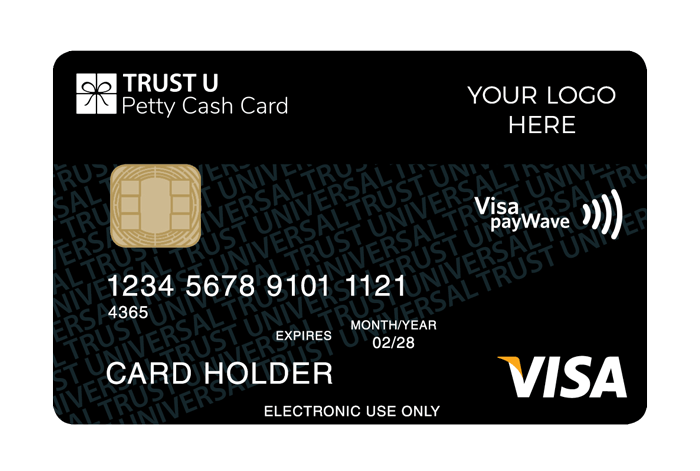 Corporate Prepaid Cards offer custom designed zero balance eftpos cards incorporating your own branding ready for your customer acquisition program, making it easy and cost effective to use as an incentive in a promotional campaign. Small runs of custom cards can be arranged, so you have the convenience of being able to order up to 200 cards for delivery within 10 business days. Presented in convenient card wallets, gift cards come with information on how to go online to activate the card, check the balance and view transactions. Visit the website corporateprepaidgiftcards.com.au for more information on how prepaid gift cards can be included in your customer acquisition program. Phone 1300 128 219, or email info@corporateprepaidgiftcards.com.au.